With 30 minutes remaining before the polls closed in Berlin and across the state, this small suburban enclave seemed to be pushing ahead of other communities in voter turnout. 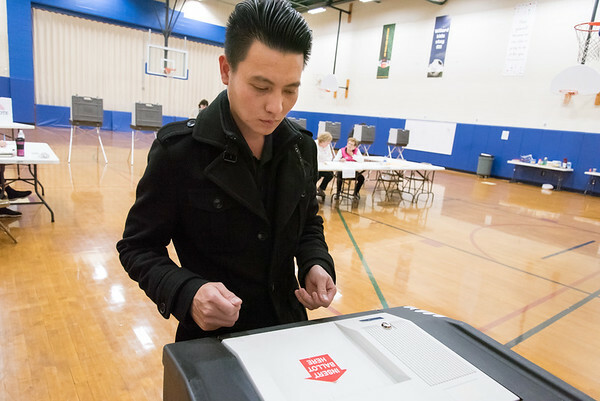 Close to 70 percent of Berlin voters had cast a ballot by 7 p.m., poll workers said. “It’s really fun,” Andrew Whitaker, a campaigner for 83rd House District GOP candidate Lou Arreta, said on the steady stream of voters entering Willard Elementary School. David Vogt, a volunteer for the Connecticut Forrest and Parks Association, was campaigning next to Whitaker for a yes vote on Ballot Question 2. Both said campaigners for candidates all across the ticket were with them earlier, and they were all receiving support from voters. 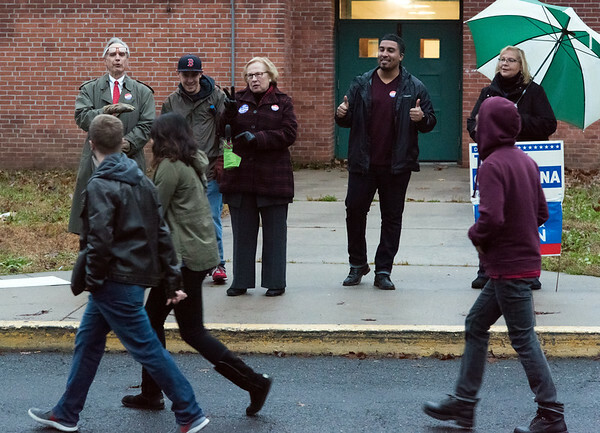 While statewide turnout looked large, New Britain lagged behind other municipalities. As of 7:15 p.m., 15,091 people in New Britain had voted, about 41 percent of the city’s registered voters. 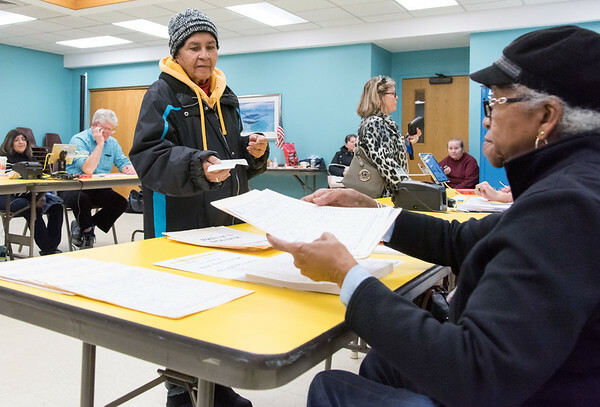 In the 2014 midterm election, 51 percent of registered d voters in the city cast a ballot. Lucian Pawlak, Democratic Registrar of Voters, said he estimated about 300 people in the city registered to vote in total on Tuesday. 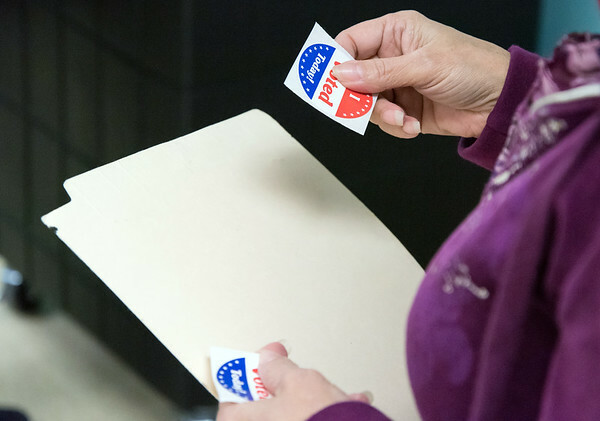 Statewide, 42.7 percent of registered voters had voted by mid-afternoon. There were a few brief machine issues during the morning, but it did not interfere with voting, Pawlak said. Carmelo Roman is a registered independent who voted at the New Britain Senior Center on Tuesday. Roman said he supports state Rep. Robert Sanchez. However, Roman said he is more worried about the issues at the state level than locally. Madelyn Roberts, a moderator, said the center had been busy all day. “We’ve had good turnout. A lot of people are very enthusiastic about voting, we’ve had a lot of young voters and first time voters,” Roberts said. Nancy Ringrose, who has lived in New Britain for more than 65 years, said that it was encouraging to see a steady stream of people out voting. At Pulaski Middle School, Voting District 12, voters were arriving steadily throughout much of the day. “In our first hour this morning we had between 250 and 300 people. They were waiting and ready to vote,” poll worker Jose Nunez said. State Rep. Peter Tercyak, spent much of his day outside Pulaski. State Sen. Terry Gerratana also stopped at Pulaski while polls were open. “I’ve never had so many thumbs up in my life,” Gerratana said, emphasizing the excitement surrounding Tuesday’s election. Former alderman Daniel Davis, now working on Republican Bob Stefanowski’s gubernatorial campaign, said his team has been reporting good turnout all day. “I started my day in Darien and we’ve been seeing big crowds and good turnout everywhere,” Davis said Tuesday afternoon. Democratic candidate for governor Ned Lamont made a stop in the city before heading to Dunkin Donuts Park in Hartford to wait for the results. “We’ve been everywhere today, and energy is high,” Lamont said. 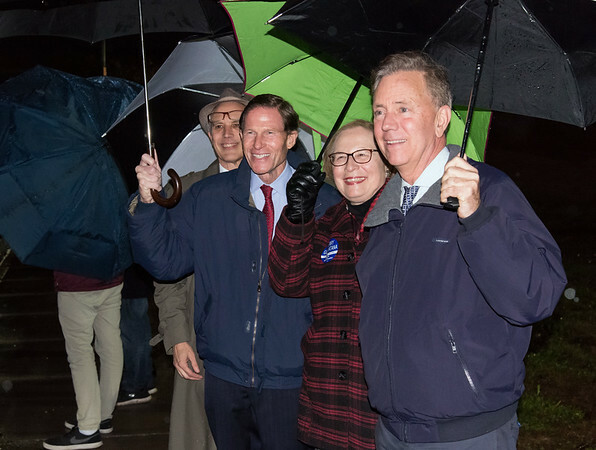 While his name wasn’t on the ballot, Democratic Sen. Richard Blumenthal was campaigning with Lamont and other Democrats on Tuesday. “I’m loving this – why can’t we do this tomorrow?” Blumenthal joked. State Rep. Bobby Sanchez, Democratic candidate for the 25th district, said Election Day was very busy for him, outside the voting district in the North-Oak neighborhood area. Sanchez said voting in his particular district looked like it was up from 2014. “He’s brought out a lot of hate,” said Sanchez on President Donald Trump’s rhetoric being the reason people are coming out to the polls. Residents want their voices to be heard, he said. 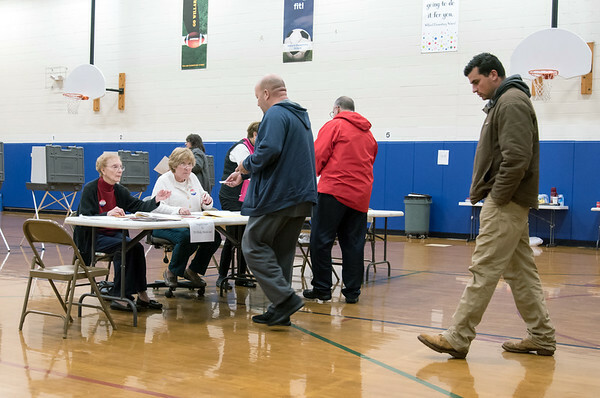 While voter turnout in New Britain was lagging, Newington reported 60 percent turnout as of 6 p.m.
“My wife would kill me if I didn’t vote, it’s an important voting year,” Newington resident Tom Keegan said at John Wallace Middle School. Posted in New Britain Herald, General News on Tuesday, 6 November 2018 19:54. Updated: Tuesday, 6 November 2018 19:56.